On November 5th , the Italian Aerospace Network met the President of the Industrial Association of the Province of Naples (Italy), Mr. Paolo Graziano. 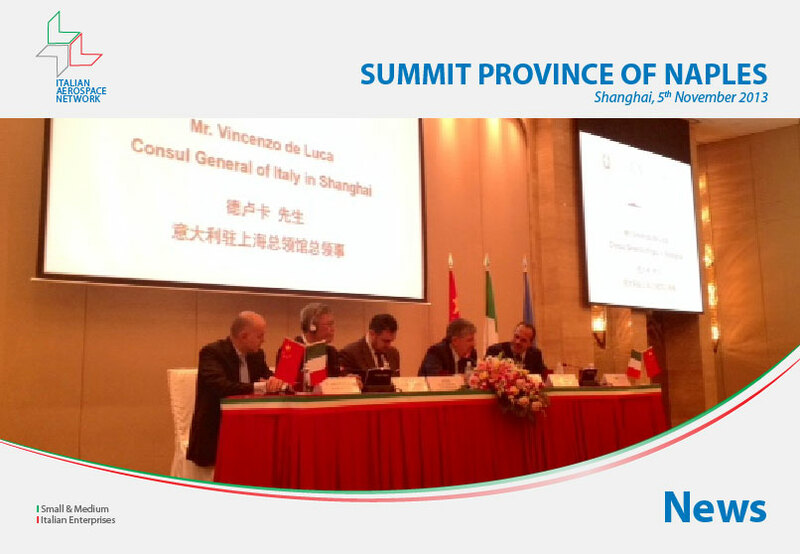 The summit was organized by the General Consul of Italy in Shanghai, Mr. Vincenzo de Luca and coordinated by the Italian Trade Commission Director, Mr. Claudio Pasqualucci. The summit was held in Shanghai (China) and our friends from the CCPIT also participated.